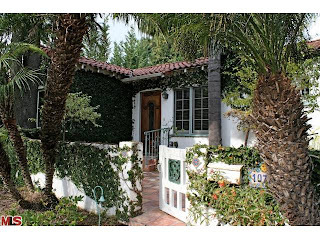 The Westwood short sale at 10775 Rochester Ave lasted 15 days on the market before accepting an offer to send to the bank, waaay back on March 9th, 2010. The home came to the market in February with an asking price of $1,095,000. Because it was under priced for the neighborhood, it received a plethora of offers. I would be curious to know whether the buyer that ultimately bought the home, was the buyer in first position all along. With the property taking about 7 months to close, it's possible the first buyer walked and one of the backup buyers got the house. That scenario is not all that uncommon with a short sale. The previous sale was in 2001 for $765,000. So it must have been a cash out situation that ended up putting the seller in a short sale situation. The home closed on 9/29/10 with a final sales price of $1,164,900. According to the MLS, the home is a 3 bedroom / 2 bath, 1,822 sq ft of living space on a 6,550 sq ft lot.